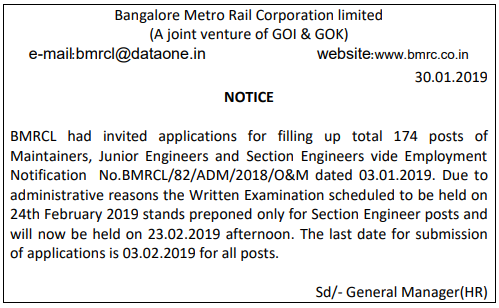 Dear Participants, Bangalore Metro Rail Corporation Limited will organized a written examination for Maintainer, Junior Engineer, & Section Engineer Posts. Candidates who register for examination may download BMRCL Admit Card 2019 from here. The written Examination is going to held on 24 February 2019. Applicants can download BMRCL Hall Ticket 2019 by Application Number, Password, & DOB. 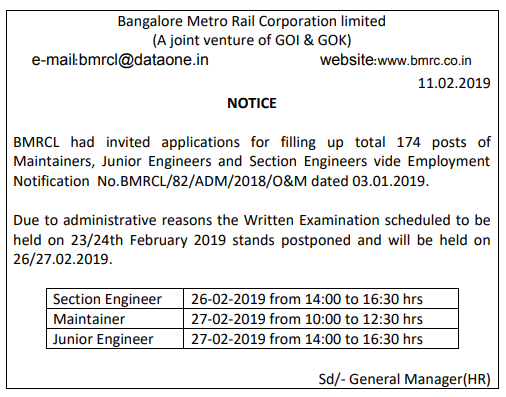 the Department will issue Bangalore Metro Call Letter tentatively from 16.02.2019. for further more information candidates may refer to the given below section. Fresh Update as on 21.02.2019: Dear Participants, Bangalore Metro Rail examination will be held on 24.02.2019. Candidates who do not download their BMRCL Admit Card 2019 till now may download by links given here as soon as possible. Candidates must stay connected with us for more latest news regarding BRMCL Maintainer Hall Ticket 2019. Fresh Update as on 18.02.2019: Hello Friends, ARe you waiting for BMRCL Admit Card? If yes then here is very important news for you. 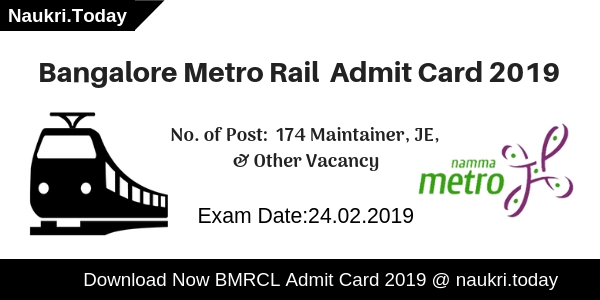 Department has issued BMRCL Maintainer Admit Card 2019 for the applicants who are going to appear for exam. Examinations are going to held on 26 & 27 February 2019. Participants must download their admit card from the direct link given below. Fresh Update as on 12.02.2019:Hello friends, BMRCL Maintainer Exam date has been changed. Now exam for BMRCL Maintainer, JE & other Vacancy will be organize on 26.02.2019 & 27.02.2019. Applicants can check dates in below section. For more updates participants stay connected to this article. Fresh Update as on 09.02.2019: Hello Friends, There is a news for candidates who register for Section Engineer Posts. the Department has preponed Section Engineer Examination on 23.02.2019. Due to some Administrative reason the Department will organized section engineer examination before other posts. 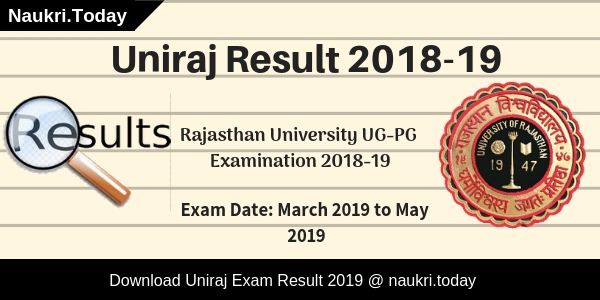 Remaining Posts Examination will take place on the previous date which is 24 February 2019. What is the Exam Pattern for BMRCL Engineer Exam? Candidates who are participating in Maintainer, JE, & SE Examination may download BMRCL Hall ticket 2019 by Application Number, Password, & DOB. If someone who forgets their Application number must check their e-mail. At The time of registration, the department may ask you about your Mail ID. The Department will send an email at your ID which consists of Application Number. For more details, candidates may refer to the official website. Participants should log on to the official website of Bangalore Metro Rail Corporation i.e bmrc.co.in. After that search for admit card downloading link. Click on that links to download call letter. Enter your Application Number, Password, & DOB. Now your BMRCL Admit Card 2019 will appear on your screen. Check details printed on it either correct or not. Conclusion: Bangalore Metro Rail Corporation Limited is going to conduct written examination for Maintainer, JE, & Section Engineer Posts. Participating candidates may download BMRCL Admit card 2019 form links given here. The department will issue BMRCL Maintainer Call letter 2019 tentatively on 16.02.2019. Browsing for BMRCL Admit Card 2017? If yes, you may rest your searches here. Bangalore Metro Rail Corporation Limited will soon be releasing the permission letters to the applicants whose application form were successfully submitted. Bangalore Metro Admit Card 2017 – 18 will soon be issued for Graduate Engineer post. Bangalore Rail corporation is going to conduct computer-based Written Exam. Those aspirants who are going to appear in Written Exam can download their BMRCL Hall Ticket from here. The candidates will have their Written Test on 28th January 2018 (18th Feb 2018). You can download Bangalore Metro Admit Card from the direct official links given below. Earlier, Bangalore Metro Rail Corporation Limited has released a notification for filling up total 80 posts. The applicants whose application were successfully submitted for Graduate Engineer Vacancy will now get the BMRCL Admit Card. Candidates who are interested and eligible can apply now as the registration process will end on 15th December 2017. The Participants can download their BMRCL Hal Ticket 10 to 15 days before the exam. Contenders should carry their BMRCL Call Letter to the exam center as without it entry will not be given. You can check the official link to download the Bangalore Metro Permission Letter 2017 in the end. Bangalore Metro Rail Corporation Limited is going to select eligible candidates on 80 posts. 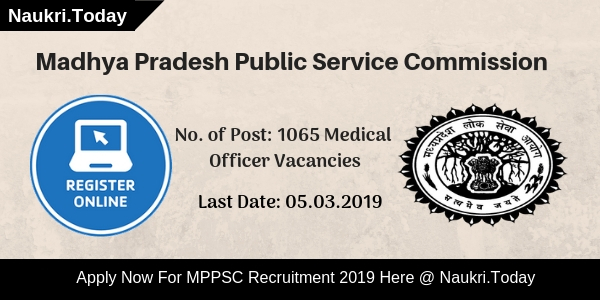 The applicants who have applied will be appearing for the written exam and those who will be qualifying the written exam will be considered eligible for the next level i.e. Interview. You can check the direct official links to download the notification pdf for BMRCL Vacancy given below. Bangalore Metro Rail Corporation Limited is going to conduct the written examination for Engineer post. The Written Exam is scheduled on Sunday, 28th January 2018. Written Examination will consist of Objective Type questions in bilingual language i.e English and Kannada. There will be two hours time for the candidates to complete the Written Test. The Examination will be having 100 questions for 100 marks in the question paper. There will be no negative marking for the wrong answer. The question paper will contain writing one paragraph or sentence in Kannada which is compulsory and this will be evaluated at the time of verification of document only in respect of candidate shortlisted for document verification. In the coming days, Rail Corporation of Metro will issue the BMRCL Train Operator Admit Card 2017 on its official website. Those contenders who have applied earlier for the supervisory and non-supervisory post can download their BMRCL Hall Ticket from here. As we know that to appear for the written exam BMRCL Admit Card 2017 is the essential document. Bangalore Metro Admit Card 2017 contains the details like Name of the Candidate, Roll Number, Exam center, Day and Date of Exam etc. As advisable the participants must carry his/her BMRCL Call Letter 2017 to the exam center. You should carry one of the photos bearing id proof along with your Nagpur Metro Hall Ticket 2017. Applicants who want to download Bangalore Metro Admit Card should check the below steps. Here our team is providing Steps by steps process of downloading Bangalore metro Hall Ticket 12017. Read the below steps & follow while downloading BMRC Hall Ticket 2017. Now, On the Home Page, select the “Careers” Section. There, click on the link to download BMRCL Admit Card 2017-18 for Engineer Exam. Now, you need to enter the Registration ID and DOB. Finally, Bangalore BMRCL Graduate Engineer Admit Card 2017 will appear on the screen. Take the hard copy of the Call Letter for future reference. Check BMRCL Recruitment 2017 notification pdf. Conclusion : BMRCL Admit Card 2017 – 18 will be soon available on its official website. The applicants who have earlier applied for Engineer Vacancy can now download their BMRCL Hall Ticket 2017. Written Examination for engineer position may held on 28th January 2017 – 18. BMRCL Admit Card 2016 : Department of Bangalore Metro Rail Corporation has going to conduct the exam Maintainer, Section Engineer, & Train Operator on 18th September 2016 which will be held at various places.The applicants who had applied the BMRCL Recruitment 2016 can download the BMRCL Admit Card 201 on here or on website i.e. www.sbionlinenews.in. BMRCL Maintainer Admit Card 2016 / BMRCL Train Operator Admit Card 2016 : The Admit Card of Bangalore Metro Rail Maintainer and Train Operator Exam 2016 will be available to download at www.bmrc.co.in 10 days prior to the exam date. Candidates can download their BMRCL Admit Card by entering registration ID and Password or date of birth. Admit Card : Available Soon. The Bangalore Metro Rail Corporation Limited or BMRC is going to conduct written test for the post of Maintainer and Train Operator very soon. The written test will be of objective type. The test will be conducted at various center in Bangalore. Candidates, who applied for the recruitment of BMRCL are required to download their Admit Card to appear in the test. To download the BMRCL Maintainer Admit Card 2016 / BMRCL Train Operator Admit Card 2016, candidates have to enter their registration number and password. Registered candidates can download the BMRC Admit Card 2016. BMRCL Train Operator Admit Card 2016 at www.bmrc.co.in : Bangalore Metro Rail Corporation Limited also known as its nick name like BMRCL. As per the official information this department handles all of the works in the Bangalore related with the Metro Department. Due to the heavy work load in the same, it passes job notifications for selecting the well qualified candidates. It is the time of competition so every department appoints the candidates after measuring the knowledge of the candidates. BMRCL Train Operator and Maintainer Admit Card 2016 : Like other notification, in the latest job notification BMRCL has mentioned the requirement of 308 candidates for its corporation. After the publication of the same notification, the topmost authority has collected the applications from the eligible candidates. Due to the completion of application process all candidates want to know the exam pattern to prepare for the examination. We advise to the applicants that concentrate on their study and when the department will pass out any information of the examination at that time we will update on the same page. Take a hard copy of it for examination. More details for BMRCL Train Operator Notification 2016. BMRCL Admit Card 2016, The Bangalore Metro Rail Corporation Limited is conducting the exam for 480 Post. Those candidates applied they can download their Bangalore Metro Rail Junior/ Section Engineer Hall Ticket from our website.